I went out yesterday and collected hawthorn, elderflower and birch leaves. I’ve made a hawthorn tincture with half of the harvest straight away, and am drying the other half of the leaves and flowers in my airing cupboard. Put the flowers and leaves in a blender and cover with brandy, mix it up and then place in a jar in a cool, dark place for 1 month. Strain and use as directed. Hawthorn is such a wonderful plant, medicinally and spiritually. Medicinally, it is a heart tonic, a beta blocker (regulates rhythm and blood pressure), the best herb for circulation, protects the heart muscle, prevents heart attacks, helps promote sleep and is good for heartache (of all kinds). 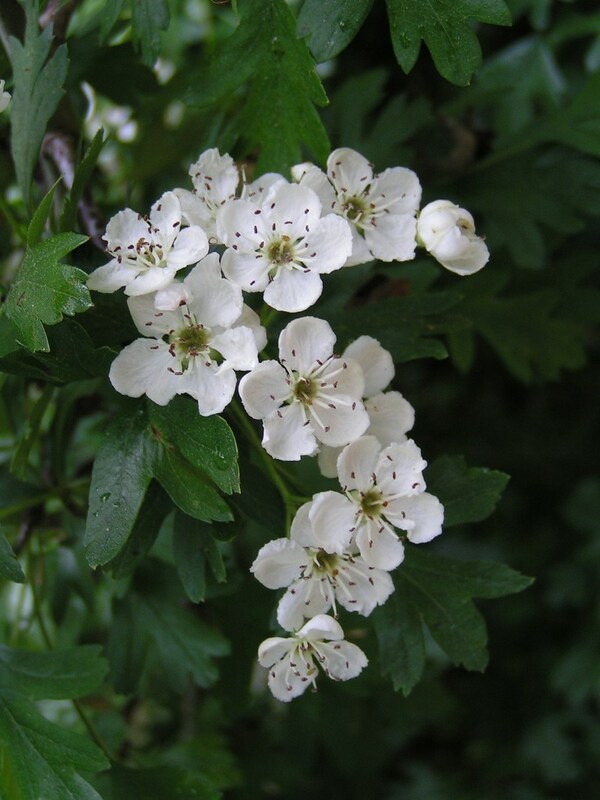 Special care must be taken with hawthorn is one is one any sort of heart medication – seek out a qualified herbalist if you intend to use this and are on any medication! The elderflowers I am drying to use with some dried oak leaves I collected a couple of weeks ago, for a tea to treat coughs. In the autumn when the elderberries are out I will collect those as well and add them to the mix. The birch leaves I collected for a birch leaf tea, which is a good all around body tonic and quite refreshing. The bark and sap are also really good spring tonics, but it is too late to collect the sap – it should be done before the leaves come out. When collecting the bark, do not “ring” the trunk of the tree – instead collect some twigs and branches and use the inner bark of these. Note: when collecting tree leaves, do so before the summer solstice, as afterward they may contain too many plant alkaloids. reference: Ellen Evert Hopman, A Druid’s Herbal of Sacred Tree Medicine. 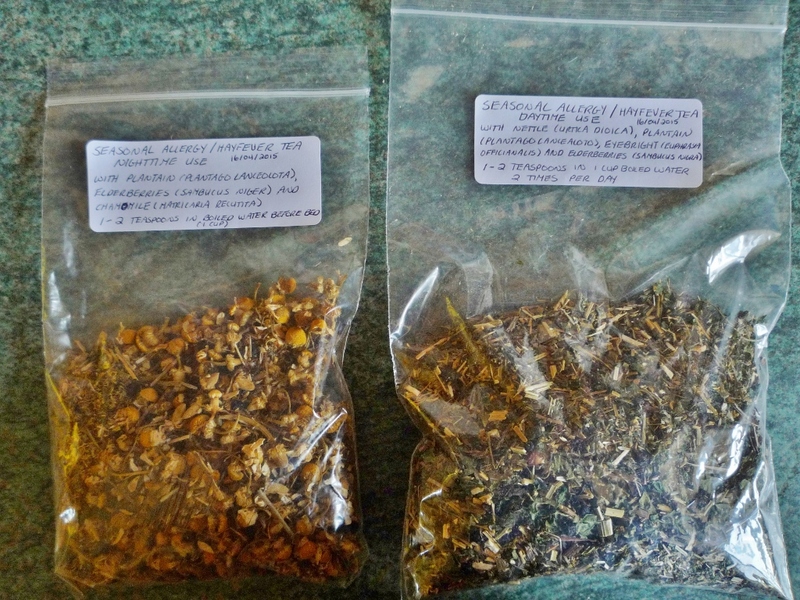 Categories: circulatory system, heart, tea, tincture, tonic | Tags: birch, blood, circulatory system, druid, elderberry, elderflower, hawthorn, heart, tea, tincture | Permalink.